Reference to the speech by the Hong Kong Secretary for Commerce and Economic Development and its relevance to the current address. Aviation representing a snapshot of the world’s economic health at any given moment and how that is so. Cathay Pacific as the largest Asian airline in Canada. The playing field. Some facts and figures about Cathay Pacific. The current economic situation for the airline industry, with some figures. How airlines are of economic importance. Problems with subsidies. A snapshot of Cathay Pacific Airways. The Canadian perspective. Cathay Pacific as part of the Swire group. The role of the Swire group in Cathay Pacific’s growth. Recent expansion. The approach needed to unlock potential in China. An upcoming anniversary for the Airline. Reciprocal investment and business opportunities opening up. How aviation is linked to successful world cities. Staying ahead of the competition. Major issues for international airlines. Determining flying rights – historically and currently and the consequences of same. The current attitude toward aviation infrastructure in Canada. The need for the federal government to take a long, hard, pragmatic look at the real economic impact of using airports as a rental revenue stream and why that is necessary. Canada’s choices. Confidence in the future of the aviation industry. Frank Monteiro: President, The Hong Kong-Canada Business Association. The airline industry has only been in existence for just over 100 years, but it is sure hard to imagine how we could function without it today. Of course it has changed a great deal over the past century, moving from something most people shunned because they thought it was too dangerous to a common mode of transportation that is very much taken for granted. Not surprisingly, over the 20th century the biggest advances in the industry took place as a result of war, when the pressure was on to ramp up flight technology rapidly. In recent years, the most significant changes have taken place in response to our post-9/11 world and the ongoing threat of terrorism. I fly a lot, and I have certainly found my flying habits have changed greatly as I can no longer get to the airport at the last minute as I used to, I dress differently on flights so I don’t set off increasingly sensitive scanning devices and now I always have in my purse a little plastic baggie containing my cosmetics and other liquid things so I don’t have to pack and repack them every time I travel. Another important change hitting the industry in recent years has been the overwhelming growth in Asia, and notably China and India, and the need to change flight schedules and routes to serve the region. Cathay Pacific Airways, having been founded in 1946 and the carrier most associated with Asia, is certainly very well placed to take advantage of the economic explosion in this region. The word Cathay, an old name for East Asia, always seems to evoke memories of a distant Asian past. As such, it was not surprising to find that legend has it the founders of Cathay Pacific Airways came up with the name in the bar at the Manila Hotel in Hong Kong. The airline has of course grown a great deal in its 50-plus years in the business, and has the reputation of being one of the top airlines in the world in terms of safety and service. I have flown Cathay Pacific on a few flights to Asia, and found that this reputation is very well deserved. Our speaker today, Phillippe Lacamp, is Vice-President Canada of Cathay Pacific, and in that position he oversees all aspects of the airline’s operations in Canada. He joined the Swire Group, Cathay Pacific’s largest shareholder, in 1992, initially in the Information Technology department in Hong Kong, followed by a position in Hong Kong Sales, developing niche-market products specifically for the airline’s loyalty program. From 1996 to 1998, he served as Assistant Manager, International Affairs, and played an important role in the re-negotiation of all air service agreements prior to Hong Kong’s reunification with China. From 1999 to 2001, he served as Manager, Cabin Crew Relations. Mr. Lacamp has held a number of international senior management positions with Cathay Pacific including Country Manager, Sri Lanka and Maldives, and Country Manager of France, Spain and Portugal. He was born in England and educated at Durham University. Please join me in welcoming Phillippe Lacamp. It is fortuitous in many ways to follow so soon after the Hong Kong Secretary for Commerce and Economic Development, Mr. Frederick Ma, and his comments on the Hong Kong government’s “New Direction for Hong Kong.” Mr. Ma highlighted the ways in which foreign investment and trade is to be encouraged, especially with regards to business opportunities between Mainland China and Canada. There are indeed enormous opportunities. The challenge is how to avoid the siren-esque call of the promise of riches in China. How does one go about getting engaged in this phenomenal market with the tremendous opportunities and potential it represents? What are the pitfalls, what are the challenges, what is the surest way to succeed? I wish I knew. What I can offer is an aviation perspective, which is a useful barometer. Aviation by its nature represents a snapshot of the world’s economic health at any given moment. It is cyclical by nature, and distinct in reflecting both consumer and manufacturer confidence through passenger traffic and air cargo tonnage. To be able to look through the prism of an airline that is based in Hong Kong, the gateway to the enormity that is China, is of value. To be able to look through that prism as the single-largest airline based in Hong Kong adds depth to that value. To add to that view a position as the largest Asian airline in Canada means I should be able to share something of interest with you. If I don’t, blame my speechwriter. We’ll start with the playing field. “If only it was level” is a commonly heard refrain from those not wishing to enter a particular market or industry in China. It’s a comment that makes those of us doing business in the freest economy in the world smile somewhat wryly. What is a level playing field anyway? Here’s a line made famous by one of your more distinguished speakers, Mr. Ronald Reagan, in a quote that could certainly be applicable to the North American airline industry: “Government’s view of the economy could be summed up in a few short phrases: If it moves, tax it. If it keeps moving, regulate it. And if it stops moving, subsidize it.” Cathay Pacific has been in business for 61 years. Profitable for 60 of those 61 years. The only blemish was in the midst of the 1998 Asian currency crisis which was damaging enough that it could have and should have put many airlines out of business, had they not been subsidized. We have been in a boom cycle for aviation for the last two years. You are excused if you didn’t notice this. After all, this is an industry that has already lost more money in the 21st century than it earned in the whole of the 20th century. To be fair, it is a year to celebrate as the International Air Transport Association (IATA) predicts world airlines will turn a profit of $5 billion this year, returning to the black after a seven-year absence. Five billion dollars on revenues of some $500 billion. And to add perspective to that $5 billion, it would fall slightly short of Hong Kong Shanghai Banking Corporation’s (HSBC’s) average quarterly profit. Looking at this slide, it would be a fair question to ask, “How do airlines have any economic importance?” Looking at some of our subsidized competitors I certainly scratch my head on occasion. We are proud that we have never had a cent of government ownership, nor received a cent of government subsidy. In September 2001 when airlines around the world were provided with free insurance by their governments and the industry was being paid billions of dollars in government handouts, Cathay Pacific paid its own way in the insurance markets and had no compensation for our loss of earnings. We neither asked for it nor expected the Hong Kong government to offer it. In an industry that competes globally it is not fair to have laws which protect failing airlines from those of us which are managed well enough to be able to pay suppliers and bankers—and indeed meet the pension obligations made to their own staff. Competition is economically healthy, when the playing field is level. Sixty years of post-war economics has taught us that state subsidies preserve bad habits. Cathay Pacific Airways (CX) is one of the most profitable airlines in the world. Our margin in 2006 was good by industry standards at just over 8 per cent. Put in the context of most other businesses with an asset base as capital intensive as aviation and one understands the often used phrase “aviation is a great industry but a lousy business.” How does commenting on Cathay’s viability as a business help in understanding the link between Canada, Hong Kong and China? It has to do with business discipline, with a profound knowledge of a product and of the environment where that product is to be offered to the consumer. Here’s a snap shot of Cathay Pacific Airways: Hong Kong based, serving 107 destinations with a fleet of 110 aircraft. We carried about 16 million passengers in 2006 and 1.2 million tonnes of cargo. With a Canadian perspective, we currently operate 62 flights a week between Canada and Hong Kong. We carried over half a million passengers and 24,000 tonnes of cargo and we employ about 600 people in Canada, including our very successful cabin crew bases at Vancouver International Airport (YVR) and in the Toronto Metropolitan Area (YTO). We are a full-service, full-frills airline. We don’t charge you two bucks for your pillow and blanket. We still offer a choice of hot meals even on our 55-minute flights between Hong Kong and Xiamen. Our own internal high standards dictate our product offering. We want to be world class in every aspect, from engineering standards to in-flight service style, from cutting-edge product offering to financial viability. And as a founding member of the One-World Alliance, we can offer access to a network of over 700 destinations worldwide. This is where I would normally crack an inappropriate joke about bankruptcy being key membership criteria of the other alliances. But it would be impolitic to do so. So I won’t. Importantly, however, we are not a stand-alone airline. This is the Swire group. (slide shown) The circle represents where Cathay Pacific sits in the group. The detail is not important. It’s the scale and perspective I wish to show. In the fickle world of aviation it’s good to know that there is a very solid foundation to our aviation division. As part of the Swire Group we benefit from the knowledge and experience of 150 years of operating in and around Hong Kong and China—understanding what we do, understanding the country in which we are doing it, the communities in those countries, and making sure we have the right product in the right place at the right time. 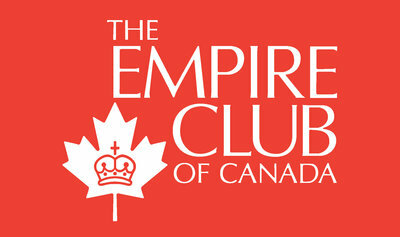 The study of history is often of great value, as the archives of the Empire Club speeches attest. Some 87 years prior to the club’s founding November night in 1903, John Swire opened a trading house in Liverpool. Fifty years later, in 1866, offices were opened in Shanghai, and in Hong Kong in 1890. The Swire motto is Esse Quam Videri and is translated as “to be, and not to seem to be”; in other words, we are what we say we are; we do what we say we do. Today Swire is a large and highly diversified group. For those who are familiar with the group, you will know that it takes a long-term view. While we are proud of the long history and the reputation for integrity and quality management that has been built during that time, equally important is the fact that Swire companies have set, and continue to set, standards for operational innovation, customer service, progressive management, and environmental best practice. Without this, we could not have survived and grown over the past 190 years in the way that we have. Nowhere in the group has this been more clearly demonstrated recently than in the expansion of Cathay Pacific in Canada, Hong Kong and China. The best example is the acquisition and full integration of Dragonair (KA) voted the best airline in China for the last five years. It has been part of the Cathay Pacific Group since June last year. A complex deal in many ways, I want to make just two comments. Despite sitting right in the gateway to China, Cathay Pacific until June 2006 had two points in its mainland network. Had this position not changed, CX would have been sidelined and would have stagnated, probably becoming nothing more than a small regional carrier. After the deal was struck, the picture was slightly altered. Secondly, it reflects an approach needed to unlock potential in China. You have to aim high if you are going to make an impression. Here we have a Hong Kong business and international brand, Cathay Pacific, needing to access the China market. Through patient and reciprocally beneficial negotiations with the main players, the deal was struck. Every entity felt they had achieved their aims, and yet the partnerships that it created are far greater than the individual value of the positions of any of the single organizations involved. The deal between KA, CX and Air China further enhances Hong Kong’s world city status as the greater flow of traffic to and through Hong Kong International Airport (HKIA) enhances its position as a world super-hub. We hope that the immense synergy that is being created will also allow us to play an ever-growing part in enhancing Canada’s gateways to Asia. It’s an exciting time for Cathay here in Canada. On May 1 next year, we will mark our 25th anniversary of operating non-stop trans-pacific to Vancouver, and 14 years of flights to Toronto, where we will soon have 10 services a week with an aim to be double daily as soon as possible, and to grow our freight presence further. By getting to know Hong Kong, China and Canada well, we have been able to push for greater services between Canada and Hong Kong, feeding into the extensive CX and KA network. This has opened up important links for the respective communities and also significant reciprocal investment and business opportunities. The Hong Kong, Toronto and Vancouver consumers are the main beneficiaries with the increase in choice, of course, but it is a direct result of the overall size of network traffic that enables the increase in frequencies, which in turn gives greater flexibility in timing options for connectivity for domestic flights into other key Canadian cities, i.e. hub growth. Robert Milton has quoted himself gently teasing a senior member of our company a number of years ago, in his inimitable fashion, saying that all you had to do to be a genius at CX was aim a 747 at any big city on the planet and it would fill up profitably. It has as much to do with Hong Kong’s strength as a vibrant, trade, financial and economic hub as it has to do with CX’s consistent high standards and quality, that he could make that comment. It’s not quite as easy today, with 80 international airlines operating into Hong Kong. That’s compared to about 60 serving Pearson and 30 serving Vancouver International Airport. With over 3,000 regional offices, 22 per cent of China’s trade flowing through its ports, the world’s best airport for five consecutive years, busiest seaport and air cargo hub, the freest economy in the world and a thrilling vibrancy, Hong Kong’s position is enviable, significantly enhanced by the growth and investment by Swire and Cathay Pacific. Great cities of the past were built on trade routes. Great cities of today are inter-modal transport hubs and business and financial centres. How is aviation linked to successful world cities? Well, for CX, we know that in order for us to remain a viable profitable entity in the coming years, we need to make use of and help strengthen the world-leading hub infrastructure of Hong Kong. Airport and related road and rail projects will cost US$31 billion, all aimed to enhance the position as the premiere hub in Asia, if not the world. As the financial secretary stated, he anticipates the investment in infrastructure to drive an annual economic benefit of some US$12 billion. Hong Kong/Canada trade totalled $5 billion in 2006, with Hong Kong investment reaching $6 billion and Canadian investment in Hong Kong at $3.8 billion. There is plenty of potential still to be realized. To stay ahead of increased competition in the region, CX and HKIA have developed best-in-class products, logistics hubs, transit points, inter-modal infrastructure and ease of access to business. A good example is Hong Kong Air Cargo Industry Services Limited (HACIS), a Swire company, which has developed an in-bond trucking service that has cut down transshipment from 2–7 days to just 13 hours. This serves the Pan Pearl River Delta, an area that is home to 450 million people and larger than the EU. Here in Canada we benefit greatly from being part of the Hong Kong family, the Hong Kong Economic and Trade Office (HKETO), strongly led by the team at the HKETO, along with the Hong Kong Trade Development Council (TDC), and Hong Kong Canada Business Association (HKCBA) making up Asia’s world city here in Canada. Hong Kong is within five hours of half the world’s population and the two fastest-growing major economies. There is thus sound logic behind our decision to increase the size of our cargo fleet to 34 freighters by 2009. Indeed we announced last week the largest freighter order of our history with 10 B747-8 freighters, the biggest and most efficient in the market. To add perspective to the sheer scale of the economic growth in China, we aim to be running 40, four zero, cargo flights a week between Hong King and Shanghai Hongqiao Airport (SHA) as of next year, all adding to the infrastructure that can allow potential to be unlocked through Canada-Hong-Kong-China ventures. The rise in oil prices continues to see the airline industry hit hard, a 67-per-cent increase in our single largest cost for CX in 2006. However I am not here to bemoan this fact. Rather to point out that the successful airlines are those flexible enough and fast enough to adapt their cost models to such cost fluctuations without compromising quality. The value chain is important, but in both directions. There is no point in Cathay Pacific investing in hundreds of millions of dollars in products that the consumer does not want, whether in First Class, Business Class or the exciting innovations in Economy Class. I wouldn’t normally break for a commercial, but the revolution in this cabin, largely untouched for the past 30 years, is worthy of note. I am very pleased to inform you that with this revolutionary hard-back design and internal recline feature, if you want a seat-back two inches from your face as you eat your cold, paid-for, sandwich and struggle to open your laptop, you will need to fly with our competitors. End of commercial. The point is we have to get that right. The consumer needs to be satisfied that the product represents value for money, in whichever cabin he or she chooses to purchase. We need to be satisfied that we are getting value from our suppliers and controlling the costs that we can control. One major issue for international airlines is an anachronistic bureaucratic layer, present in different manifestations in many businesses, that acts as a form of restraint of free-market economics. It is present in the sovereign control of airspace and the ensuing bilateral negotiations for designation by a government for those rights. Back in 1944 at the Chicago Convention it was decided that the right of an airline to carry passengers and freight from one country to another (or even just to fly over a country) was a sovereign right, governed by the Five Freedoms of the Air. Only governments could decide who should be allowed to fly, bilaterally, government to government. That’s what has been done for the last 60 years. There is no Most Favoured Nation. The World Trade Organization does not apply. Rights are traded, or not traded, bilaterally. In some ways telecom companies are similar to airlines, network businesses with high fixed costs, often seen as strategic in the national sense. But even telecoms are consolidating across borders. The sovereignty of air traffic rights prevents that in our industry. It’s just not possible for a foreign entity to own more than a minority of another country’s airline. So the normal rules of market-driven business evolution don’t apply. However liberalization by the EU countries has created a European Common Aviation Area. Airlines from within this area can fly wherever they want as often as they want. They can even fly domestic services in another country. The results? Significant economic benefit, as new and very successful low-cost carriers have flourished. The better legacy carriers have adapted and are doing OK as well. There is a fundamental decision to one’s positioning in any business. What is your objective? Sustainability and profitability are key objectives in any business model, outside Crown corporations. This is where one has to take issue with the current attitude toward aviation infrastructure in Canada. We have seen very encouraging trends emerging from the airport authorities at Vancouver (YYZ) and Toronto (YYZ) with regard to their position on landing charges and fees. Indeed Lloyd McComb and his team at the Greater Toronto Airport Authority (GTAA) have taken the difficult, but sensible, step of reversing the punitive pattern of double-digit increases levied on the airlines. They are to be applauded and they are by many entities. One cannot then stand quietly by and watch certain elements of the federal government make something of a mockery of their efforts to compete with the major North American hubs for the benefit of Canada. How so? Let me briefly explain. We believe as a useful rule of thumb, every arriving aircraft contributes C$150,000 in economic benefit. The GTAA has commissioned studies that quantify this more clearly, as has IATA, noting that aviation in Canada generates C$4.4 billion and 80,000 jobs. It would seem to a mere airline executive that charging more for your transportation infrastructure than anyone else is not a sound strategy for encouraging investment by users or maximizing the potential of that infrastructure. That is currently the case in Toronto, an airport that holds the dubious title of “world’s most expensive” for landing a Boeing 747. Thirty-four per cent of that expense is charged by the government in the form of Crown rent. In the airline, we strive to lower our costs by optimizing our fleet and constantly increasing our productivity to provide us economic growth. As consumers we all demand more for less. In the same way hub airports are gateways for economic growth. Canadian hub airports should be the favoured gateways for North America. Airlines and airports actually agree, which is, in itself, reason enough for the relevant authorities to take note. The federal government must take a long, hard, pragmatic look at the real economic impact of using airports as a rental revenue stream. It’s anachronistic and we believe economically misguided. It is notable that the only other countries with comparable rental structures are Ecuador and Peru. It is no surprise that Cathay Pacific has been operating three daily B747s out of Los Angeles International Airport (LAX) for years, while having only a daily flight in YYZ, operated by a smaller aircraft. With the depth of demographic and trade links between China, Hong Kong and Canada, we should have far greater services from Canada than from the U.S. We don’t. We will continue to grow here, but it will be slower and more hesitant than this country merits. With the transfer to locally controlled not-for-profit corporations, the rationale for airport rent as part of these transfers was to ensure that Ottawa was “no worse off.” The total value of Canada’s airports was assessed at $2 billion by Transport Canada at the time of the transfers. Since the transfers, Ottawa has already collected over $2 billion in rent from airports, over $1 billion from Pearson, and many of the airports have invested in new facilities without taxpayer funding. In short the federal government is much better off since the transfer of the airports; but is Canada? We all inherently understand the economic benefit for the region, province and country, through growing cargo and passenger travel. How much more competitive could Toronto be without the unnecessary burden of Crown rent and how better positioned to thrive as significant international hubs? It is Canada’s choice as to whether you are an integral hub at the heart of the trade routes of today and tomorrow, or not. To eliminate Crown rent and to nurture rather than hinder, the main hubs will allow another step to be taken to realizing the potential presented by the Canada, Hong Kong and China dynamic. From an aviation perspective we have great confidence in the future. We fundamentally understand the markets represented and we see the benefit to all that come from providing the appropriate links in the economic value chain. That will surely make everyone winners. The appreciation of the meeting was expressed by Bart J. Mindszenthy, APR, Fellow CPRS, Partner, Mindszenthy & Roberts Corp., and Past President, The Empire Club of Canada.